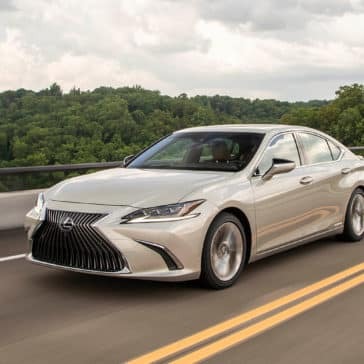 After nearly thirty years of success, the seventh-generation Lexus ES is set to redefine its status among entry-level executive sedans. 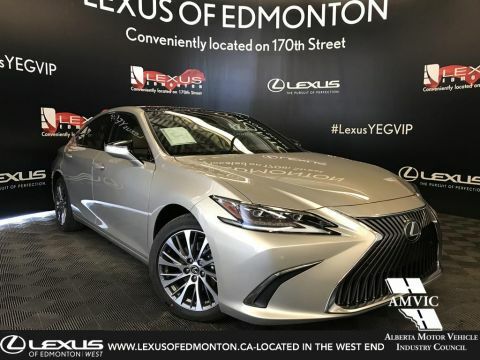 Long known for its unparalleled comfort, refinement and luxury appointments, the 2019 Lexus ES builds on its strengths with an all-new chassis that allows for a more dynamic exterior design and the introduction of the first ES F SPORT. 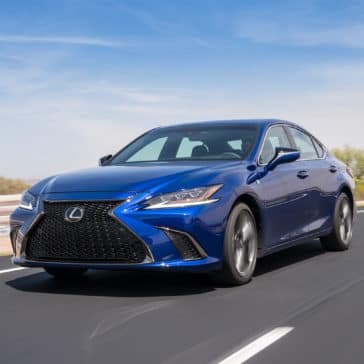 The introduction of the new Lexus ES continues the brand’s commitment to crafting vehicles with heightened excitement, emotion and passion. 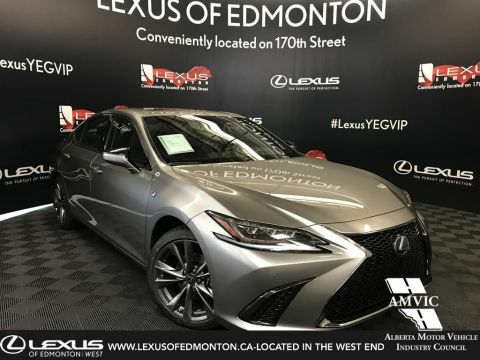 Traditional buyers will find the new ES more spacious and quieter while a new generation of customers will be introduced to a sedan with sharpened performance, advanced active safety technology and a level of craftsmanship rarely found in this segment. 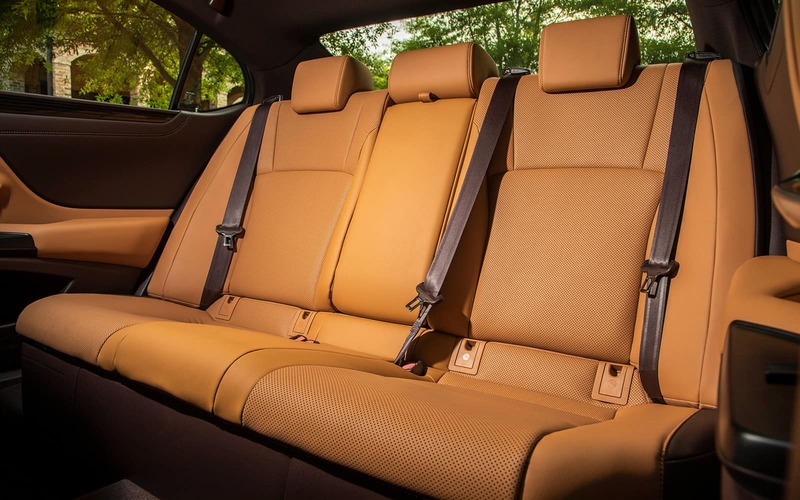 A key element of the redesigned ES is the all-new Global Architecture–K (GA-K) platform. 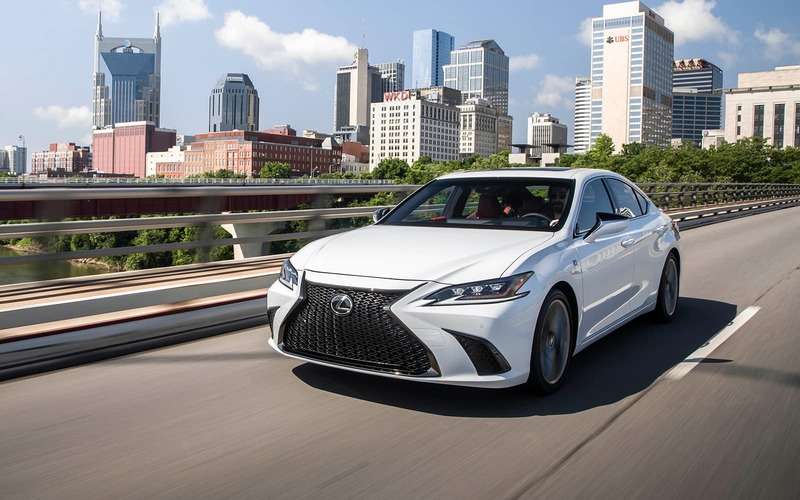 More than just an engineering achievement, the GA-K platform gave the designers the flexibility to create an ES that’s as visibly striking as it is enjoyable to drive. 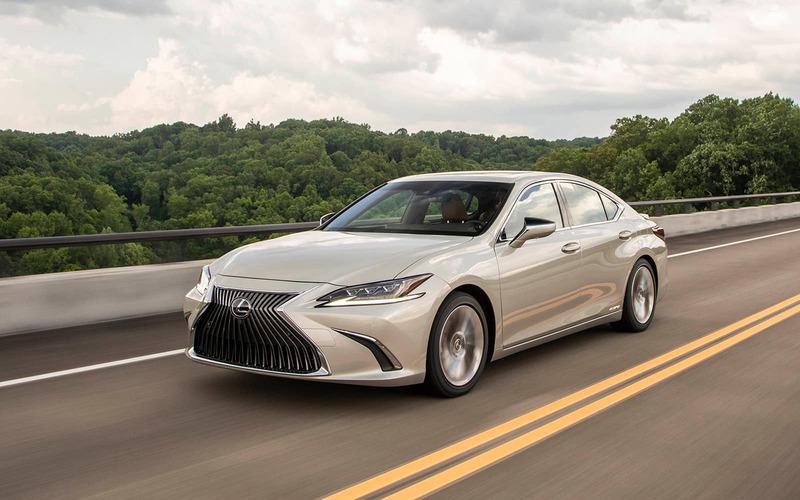 The provocative elegance of the design starts up front with the latest iteration of the brand’s signature grille. 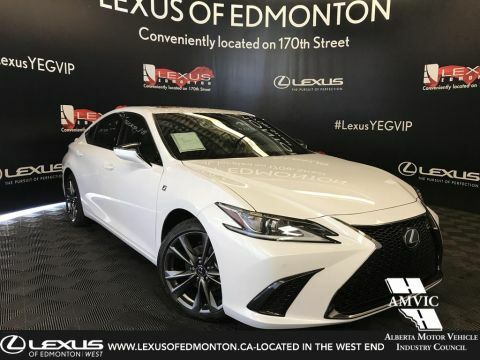 It follows the path set forth by the LC coupe and LS flagship, yet adds individual cues that are unique to the ES like the vertical grille pattern and satin plated trim. 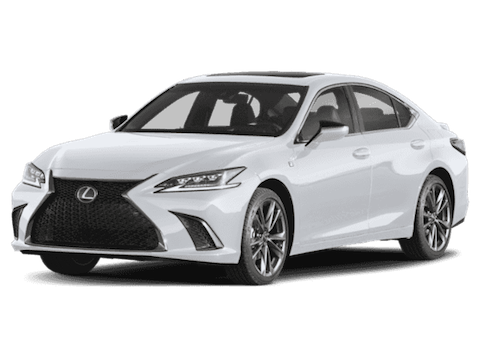 The newly introduced F SPORT model sets out in a different direction entirely, with a grille that borrows directly from the LS flagship. 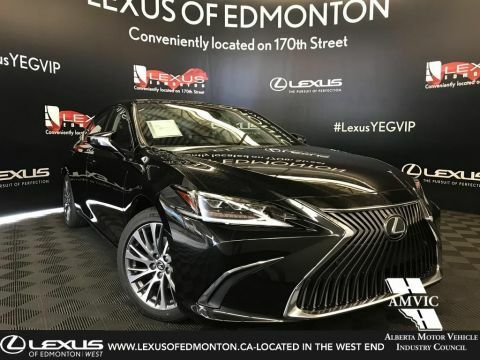 In place of the standard model’s vertical bars, the F SPORT has a mesh pattern made from interlocking “L”s with a jet black finish and dark trim. 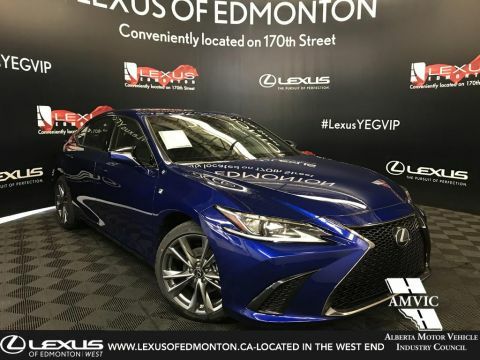 To complete the transformation of the front end, Kajino’s team gave the ES slim headlamps with distinctive “L” shaped marker lights. 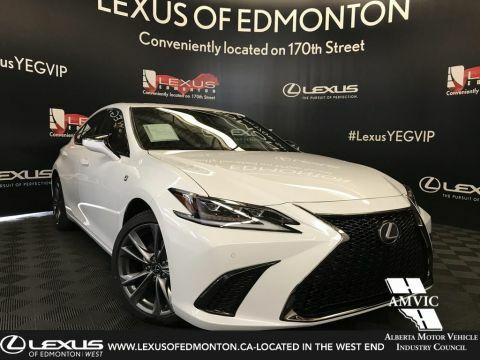 Optional triple beam headlights further refine the look with three compact LED projector units while the standard design features a single LED projector beam design that retains the signature “L”-shaped marker lights. 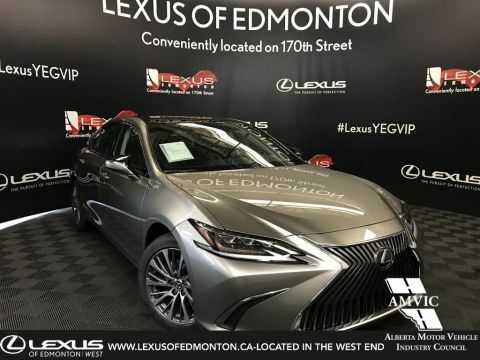 In profile, the ES has a dynamic yet fluid shape that starts with the low hood line made possible by the GA-K platform. 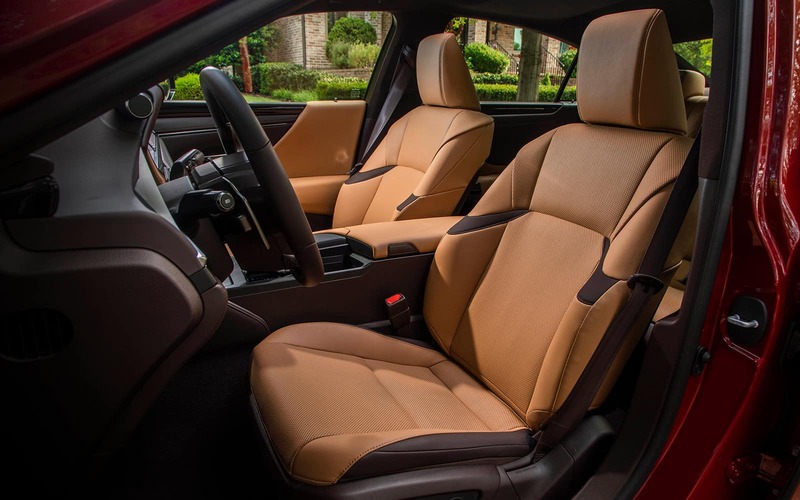 From there, the roofline remains low and sleek thanks to the relaxed A-pillar that flows smoothly to the sharply slanted C pillar. 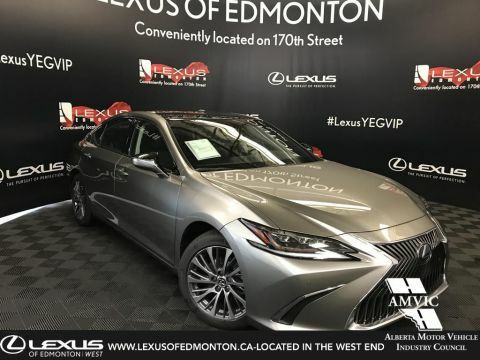 The rear of the ES is clean and sharply chiseled, with LED tail lamps that wrap around the quarter panels to provide a continuous styling line from any angle. 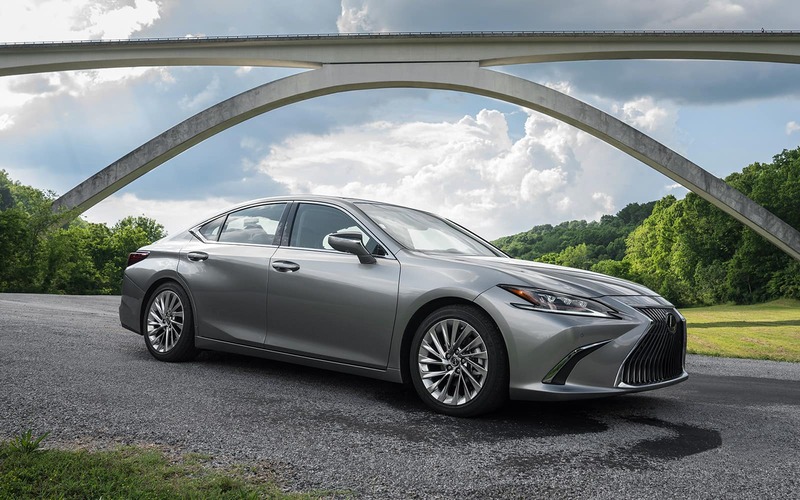 Finishing off the rear end is a lower valence that further emphasizes the wide stance through the use of chrome exhaust finishers at each corner. 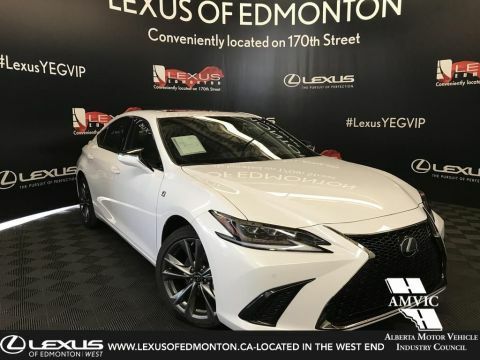 On the F SPORT model, a trunk lid spoiler adds a tasteful hint of performance while dark accents along the taillights and lower valance are more subtle indications of its sporting nature. Don’t see the Package or Color you want? 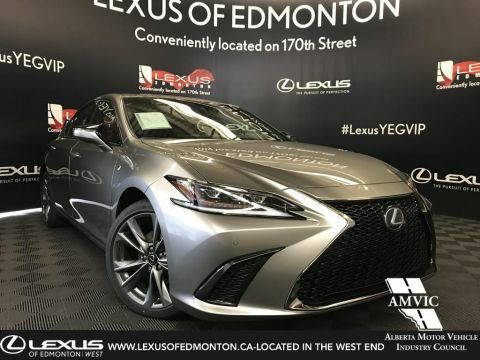 We have inventory arriving daily! 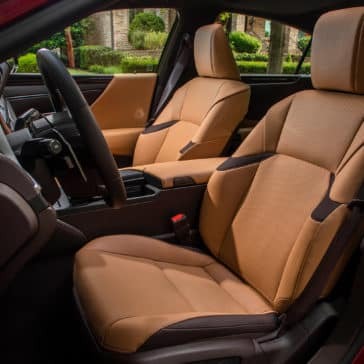 Contact us and we can find it for you! 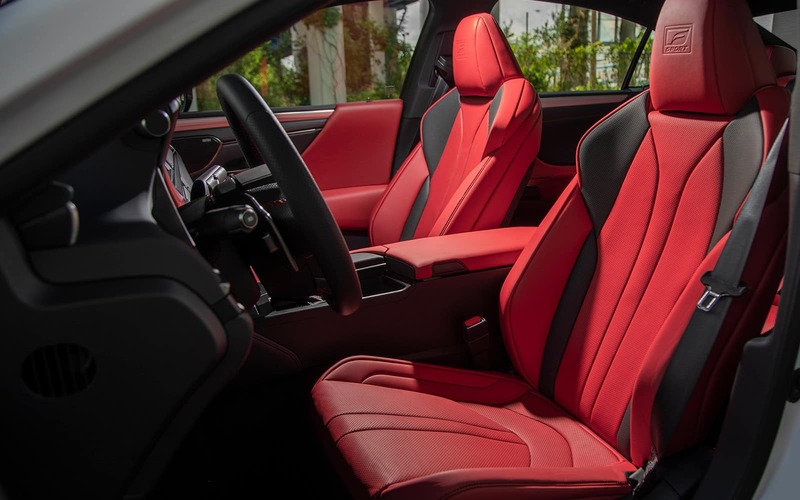 The F Sport Series 1 Package includes the Signature features plus: 19” Aluminum F-Sport Alloy Wheels, Adaptive Variable Suspension (Sport +), Active Noise Control, NuLuxe F-Sport Seats, 3-Spoke F Sport Steering Wheel, Heated Steering Wheel, Driver Seat Memory, Blind Spot Monitor, Rear Cross Traffic Alert, F-Sport Grill, Rain Sensing Wipers and Lip Spoiler. 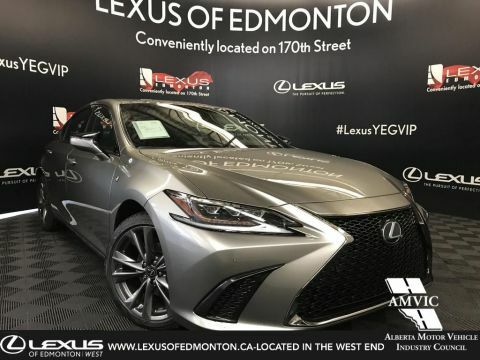 This Luxury vehicle has a fuel economy 10.9/7.5/9.4 L/100km 26/38/30mpg (city/highway/combined). 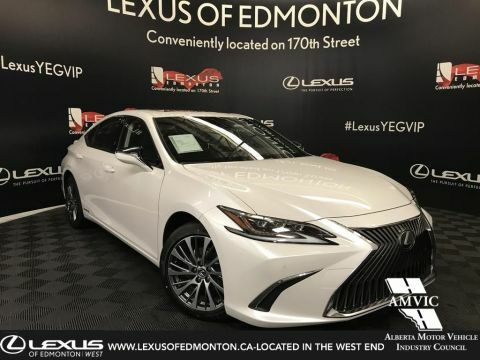 The F Sport Series 2 includes the Series 1 features plus: 12.3” Display, Lexus Navigation w/ Embedded Traffic and Weather, Enform Destination Assist (1 Year Subscription), Head-Up Display, Triple LED Headlamps and Adaptive Front Lighting System (AFS). 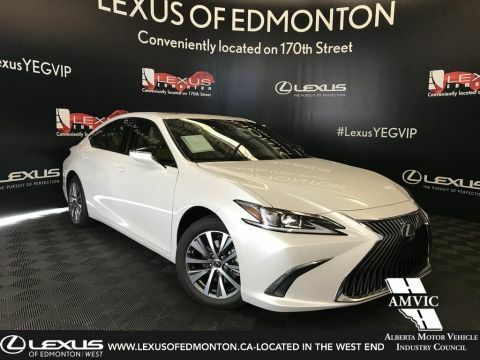 This Luxury vehicle has a fuel economy 10.9/7.5/9.4 L/100km 26/38/30mpg (city/highway/combined). 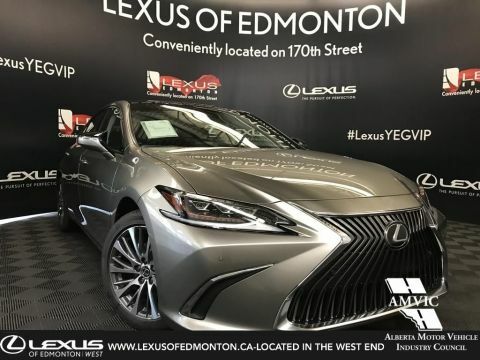 The Luxury Package includes the Premium features plus: Premium Leather Seats, Wireless Charging, Panoramic Glass Roof, Power Rear Window Sunshade, Triple LED Headlamps, Adaptive Front Lighting System (AFS) and 18” Aluminum Alloy Wheels. 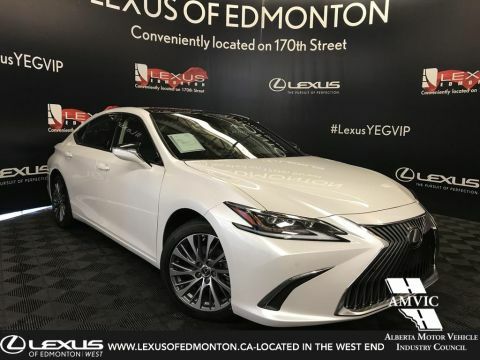 This Luxury vehicle has a fuel economy 10.6/7.2/9.1 L/100km 27/39/31mpg (city/highway/combined). 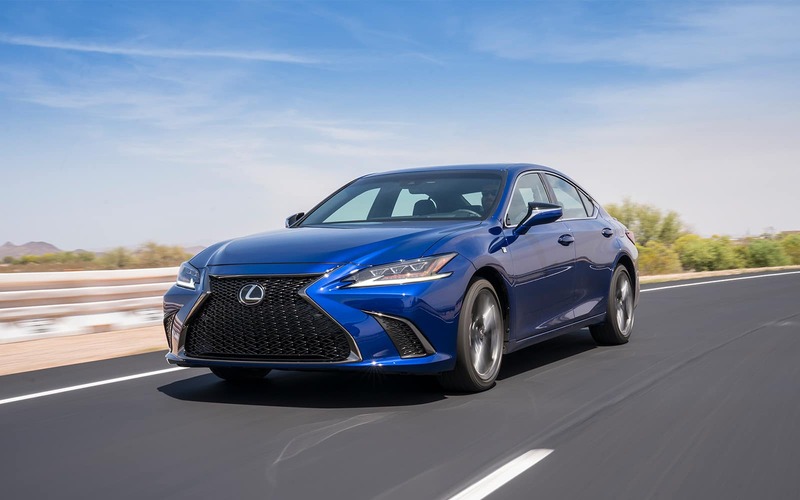 Yasuhiro Sakakibara, the chief engineer of the 2019 ES, said “We knew that this ES had to feel responsive and easy to drive, no matter what kind of road it was on”, so his team delivered an ES with greater performance, power, and handling than any before. 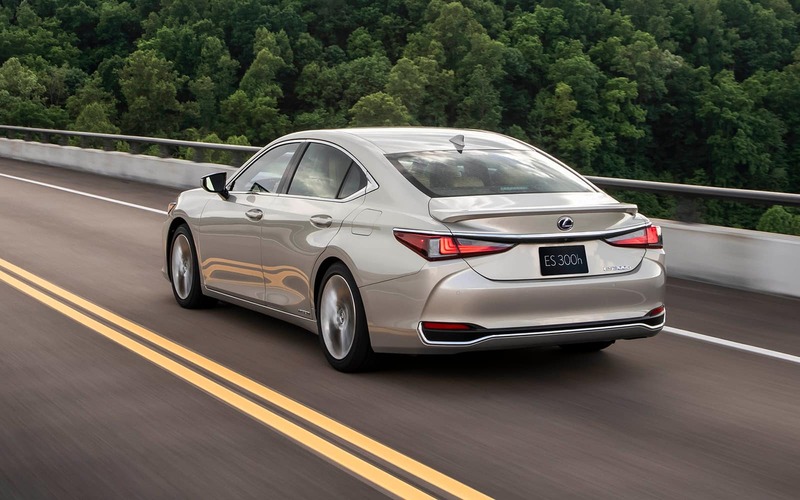 The new direct-injection V6 engine is mated to an 8-speed Direct Shift transmission. 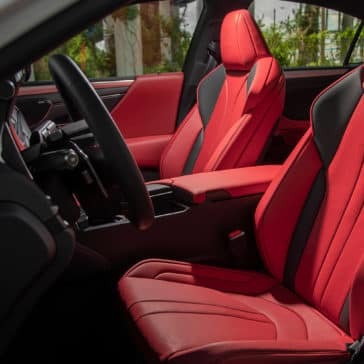 It produces 302 horsepower and achieves rapid acceleration, with crisp, precisely timed shifts and quick pedal responses. 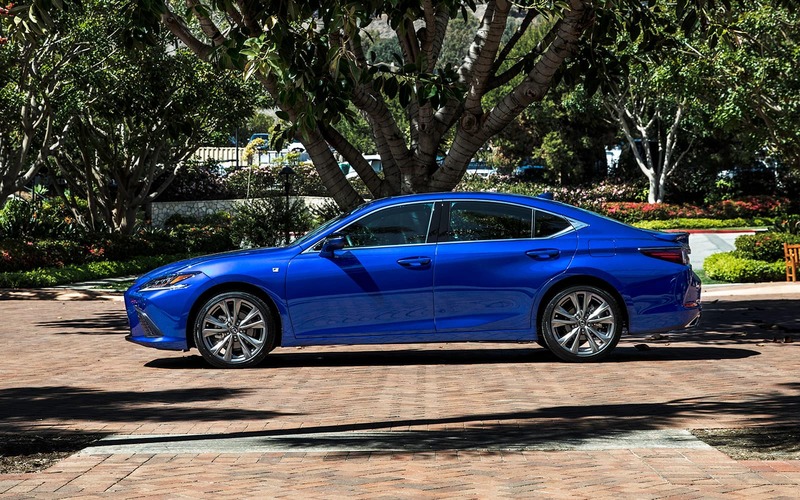 Combined Fuel efficiency ratings are 9.1 L/100km for ES 350, 9.4 L/100km for ES 350 F SPORT and 5.3 L/100km for ES 300h. 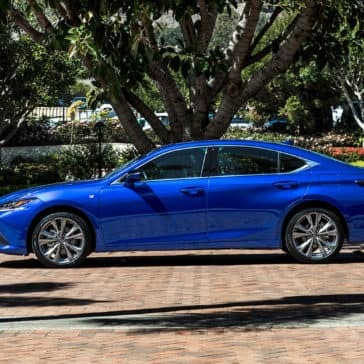 Featuring a highly efficient 2.5L Atkinson cycle Gasoline Engine and Electric Motor, the ES 300h produces 215 Net HP. 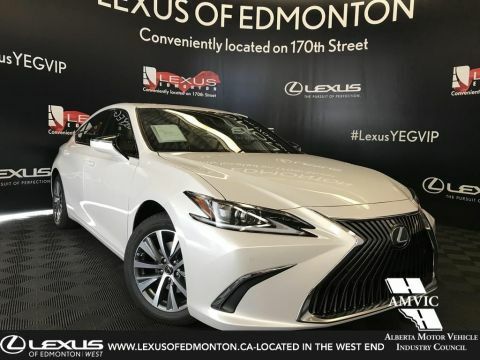 With its new Hybrid control computer, ES hybrid creates a smooth, responsive and engaging driving experience and exceptional fuel efficiency ratings of 5.5 L/100km City* and 5.2 L/100km Highway*, plus extremely low emissions. 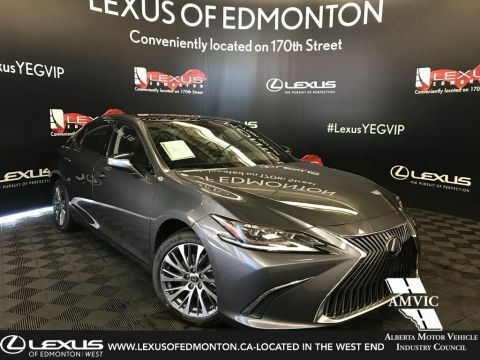 Like all Lexus Hybrids, the self-charging system never needs to be plugged in and the high voltage Nickel Metal Hydride battery and Hybrid Components are covered by a 96 months/160,000 km warranty. 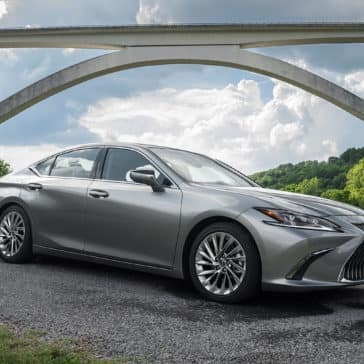 Artfully designed and exceptionally engineered on Lexus’ new Global Architecture K platform, the next generation ES is longer, lower and wider, with a dramatically slanted roof-line creating a coupe-like silhouette, with increased interior space and responsive driving dynamics. 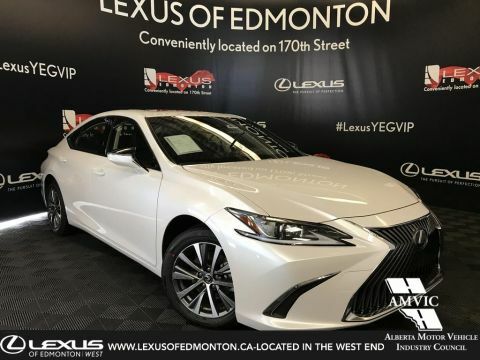 Out front, it features Bi-LED headlamps along with LED cornering lamps while the rear end is clean and sharply chiselled, with LED lamps that wrap around the quarter panels to generate a continuous styling line when viewed from any angle. 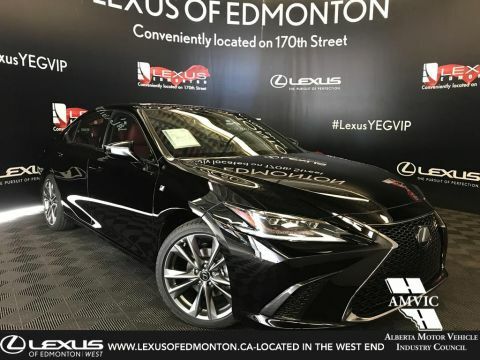 ES features both a multi-information display and digital speedometer that puts key driver data within easy eye line, and a standard 8” or available 12.3” display screen that lets you customize controls including audio and navigation to your personal preferences, using the Lexus Remote Touch system. 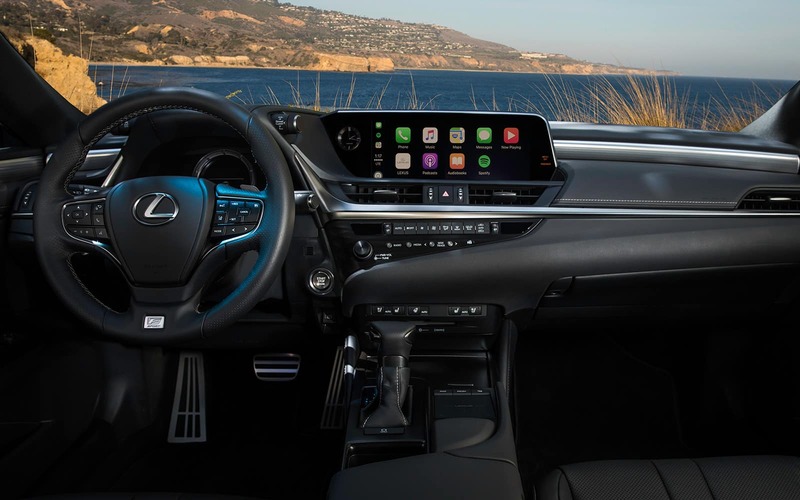 An available 10-inch head-up display puts key information on the windshield so that you can keep your eyes on the road. 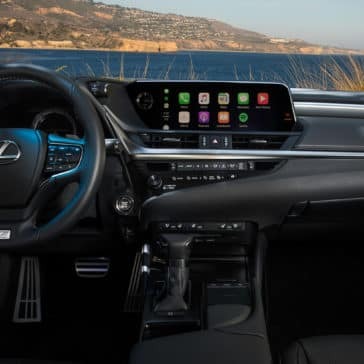 Vehicle Stability Control (VSC) adds another level of safety and peace of mind, helping you to maintain better control on slippery surfaces. 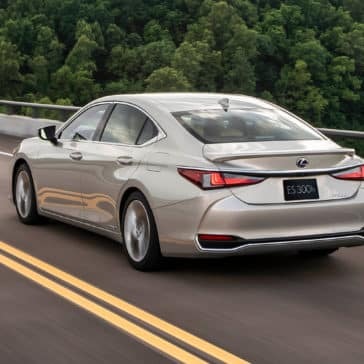 When sensors detect front or rear wheels lose traction, VSC automatically manages steering, brakes and stability systems to correct over- or under-steering and keep you on your intended path. 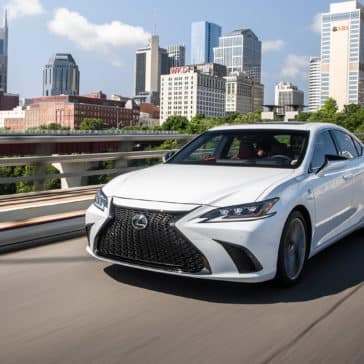 The 2019 ES and ESh are built upon the newly designed and exceptionally rigid Lexus Global Architecture – K (GA-K) front-wheel drive chassis. 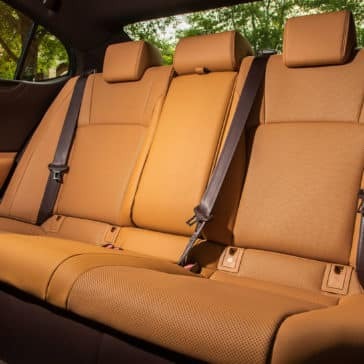 It is longer, lower, and wider than before, providing an eye-catching appearance and reflect its newfound performance capabilities. 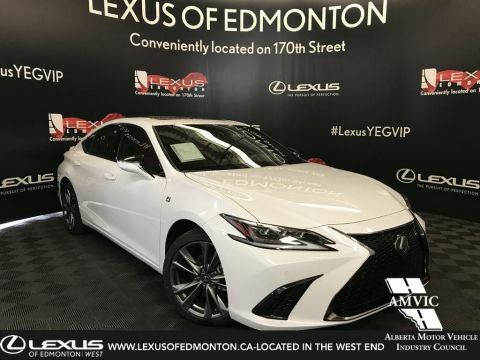 Combined with an all-new multi-link rear suspension design, or available Adaptive Variable Suspension on F SPORT packages, rack-mounted electric power steering and a V-brace mounted behind the rear seat, the ES helps to provide you with a complete sense of control.